Minimum purchase of RM500 above entitled to 6 months installment. Minimum purchase of RM1000 above entitled to 6/12 months installment. 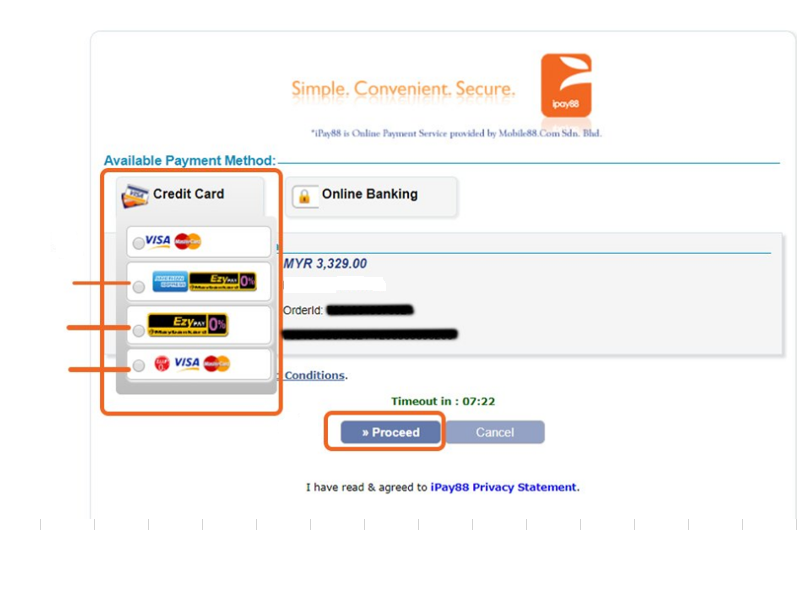 For Public bank Credit card user ,Please select ZIIP Visa Master by Public Bank , then Click on Proceed . Click on proceed to complete your payment . Congratulations, your order has been completed and we will process for you.